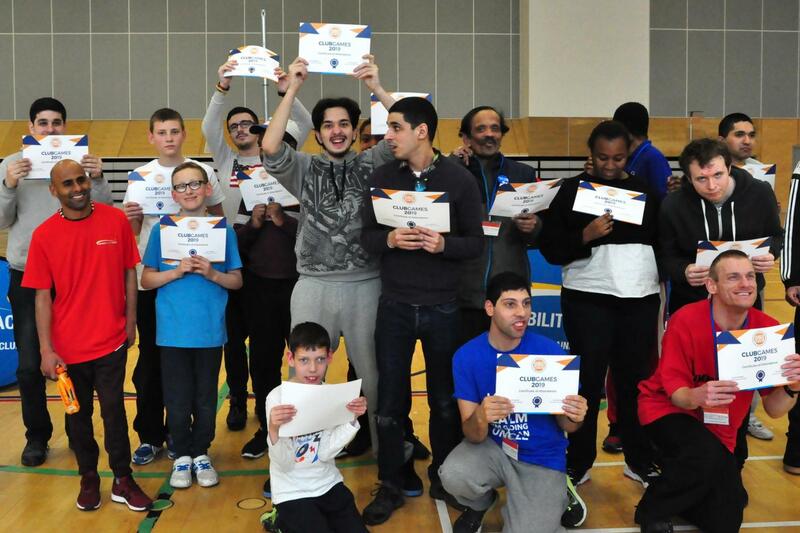 On Thursday 11th April, 110 disabled people joined us at Kensington Leisure Centre for an action packed day of inclusive sports activities. 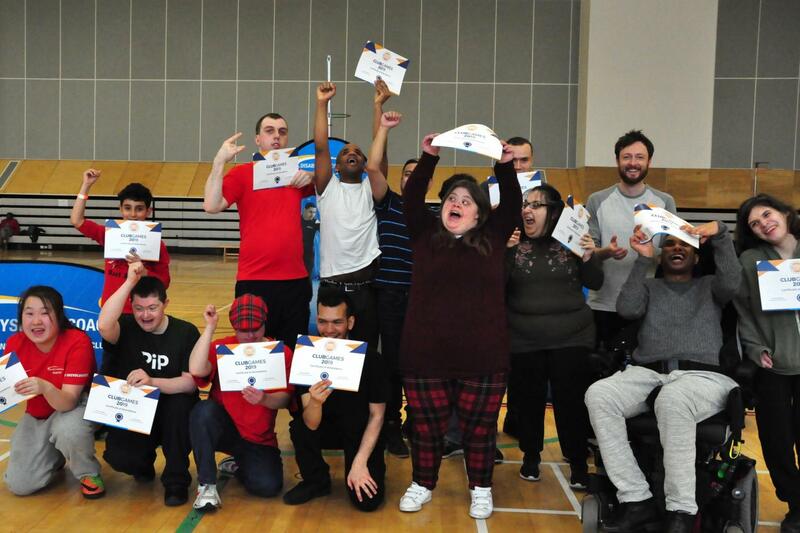 The 2019 West ClubGames attracted members from Community Clubs Brent, Hillingdon, Hounslow, Kensington & Chelsea and Westminster as well as PiP, Westminster Society, LD Resource Centre of RBKC, DALO, Share Community, Brent Day Services, EPIC CIC, One Trust Wandsworth, and Equal People Mencap! Members had the chance to try 7 sports on offer provided by partners England Netball, Fulham FC Foundation, Capital Kids Cricket & The Golf Trust. 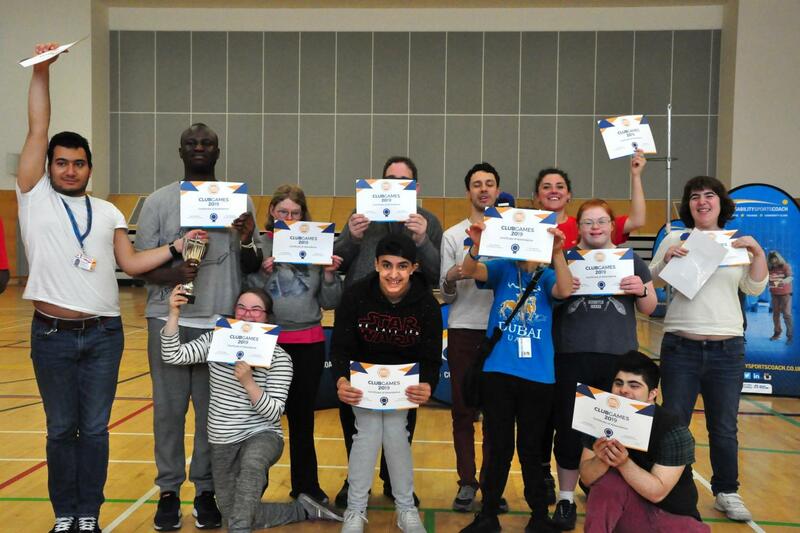 RBKC also came down to promote their local activities and Polybat, Boccia and Music were provided by Disability Sports Coach to further add to the entertainment of the day! As well as getting active, our social ClubGames gave our members the opportunity to interact with other club members in a bid to tackle to isolation and loneliness. 73% of attendees said they have made at least 1 new friend & interacted with more than 5 new people! Members and carers took their chance to shape the 2020 West Club games with fun stickers, shapes and coloured pens. Did you miss your chance? We still want to hear from you via our short survey (approximately 2mins). Who were crowned West ClubGames Netball champs? Following a well-earned lunch break, England Netball took us through our paces and lead a friendly competition to test the Netball skills we learnt earlier in the day. Three tough rounds with a number of tight match results left the ladder closer than ever. With close countback calculations EPIC CIC took the 2019 West ClubGames title. We hope to see you all at our Summer Festival 2019 on the 26th July, so save the date! Looking for more activities? Join your local Community Club! Are you ready take part in more sport activities? Why not join one of our award-winning Community Clubs. Click here to find your local club and register today. 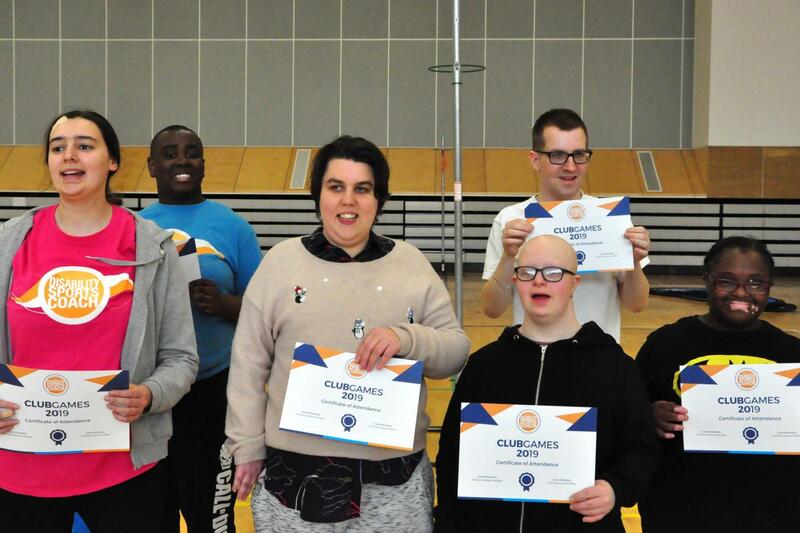 For more information about our Community Clubs or ClubGames, please contact Lauren or Laura on 020 7021 0973 or email clubs@disabilitysportscoach.co.uk.